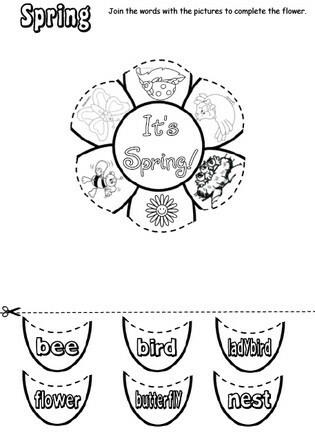 With this activity you can practice some Spring vocabulary in a funny way. The students have a flower with only half petals with pictures you have previously taught. At the bottom of the page, they have the words. The aim is to cut the halves and stick them above next to the corresponding picture. This way, they will have a complete flower with pictures and words. Idea: When the students finish their flowers, you can stick them on the classroom's walls.